Self-advocacy skills are necessary for children to express their feelings and effectively get their needs met. In some situations, children refrain from speaking up to their peers for fear of being seen as aggressive and offending the other person. As a result, children may agree to situations that they don’t feel comfortable with (peer pressure), sustain engagement in non-preferred behaviors (trading their lunch when they would prefer not to), and run the risk for mood dysregulation over small, unrelated issues due to bottled up frustration from previously unresolved matters (getting disproportionately upset when asked by a parent to take out the trash or begin homework). Teach your child the difference between aggressive and assertive communication. Aggressive communication encompasses both negative and hostile verbal/non-verbal cues. Often times, the message being conveyed gets lost in the delivery as the individual goes on the attack and uses a loud/mean tone. Assertive communication is positive, pro-social, direct, and non-threatening. The message being delivered is not accusatory and the tone is firm and calm. Assertive communication provides a forum for expression of thoughts and needs and allows both parties to collaborate on an appropriate course of action. Provide “time out” time or “off the clock” time to promote sharing of information without the threat of punishment or consequence to facilitate increased communication within the home. Children may not speak their mind for fear of the aftermath. Allowing for 10-15 minutes a day where the child can process their thoughts, feelings, and needs can not only offer them the opportunity to practice self-advocacy, they are learning that it is ok to assert themselves and build confidence in their communication skills. 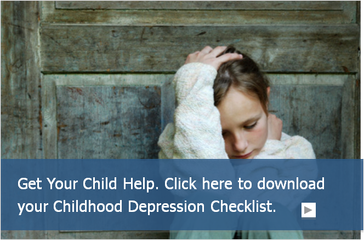 Read here for three tips for knowing when to intervene in your child’s relationships.